Kids can be kind of tricky to shop for. Sure, you might know what superheroes and ponies they like, but there’s no way to know what toys they already have. Here are some gift ideas for kids that are unique enough that they won’t already have them, and cool enough that they’ll love ’em. 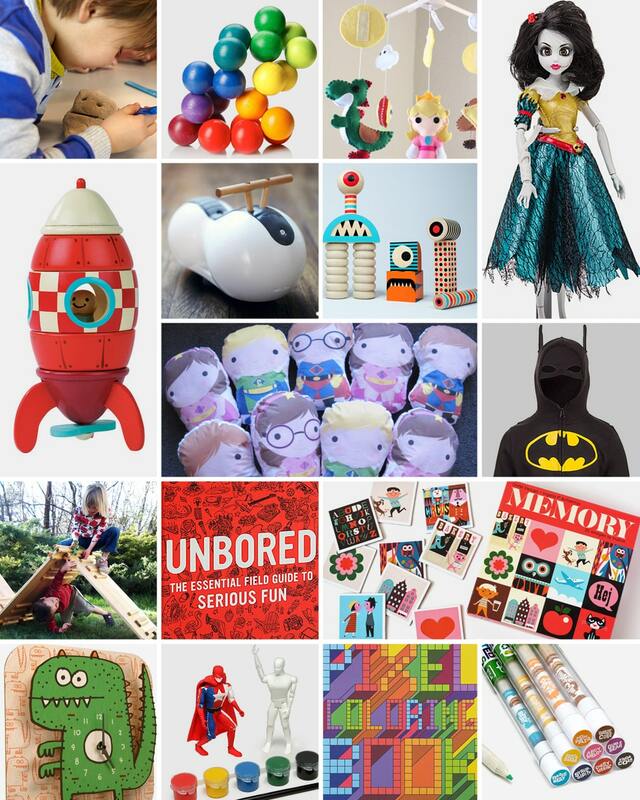 Visit Kid Crave’s Gift Guide for Kids for more gift ideas for kids of all ages. I want the creature blocks for my kids! A great gift for 3 yr old is first scooter and for 4 yr old and adjustable pair of skates. Most kids already have bike by 3.